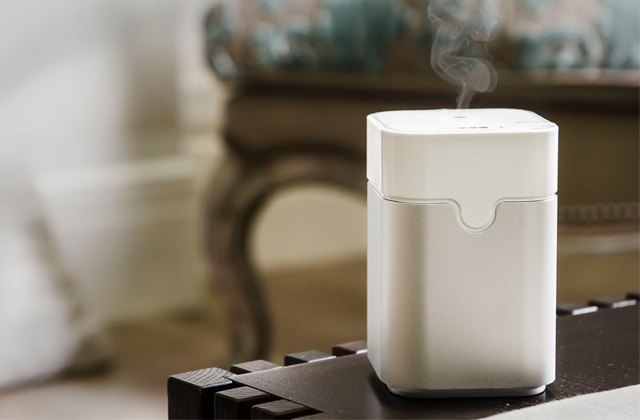 The patented oil-free technology allows the heater to warm up 30% faster than its oil-filled counterparts. On top of that, it takes 15% less electricity to run this model, unlike other heaters. The power cable is a little too short. 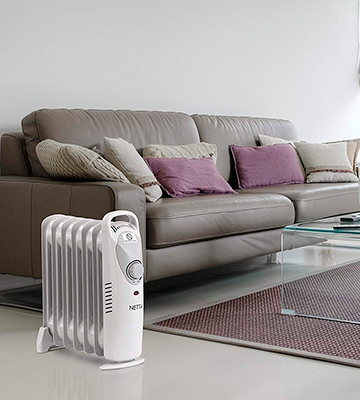 The Dimplex OFRRB7N E is a compact oil heater with flexible temperature settings that will help you warm up the room more effectively. A perfect pick for people who value their time and money. 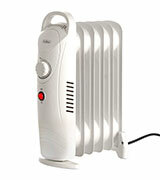 The heater is also BEAB approved, making it a great choice in terms of safety measures. 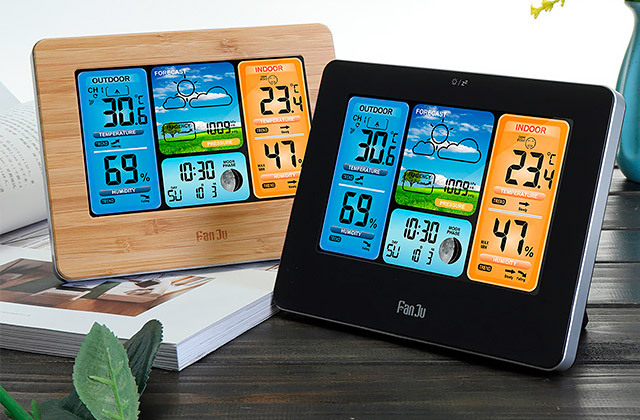 The Real Energy technology makes sure that the heater will keep the room temperature stable throughout the operation time of the device. Additionally, the fin design makes it easier for the appliance to exchange hot air between them. This model is one of the bulkiest available on the market. 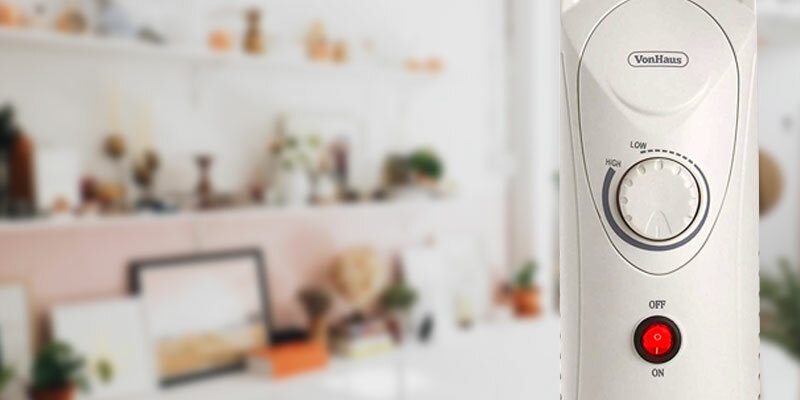 The DeLonghi TRNS0505M oil heater is equipped with a heat dial that features 6 heat settings and an overheat protection system. 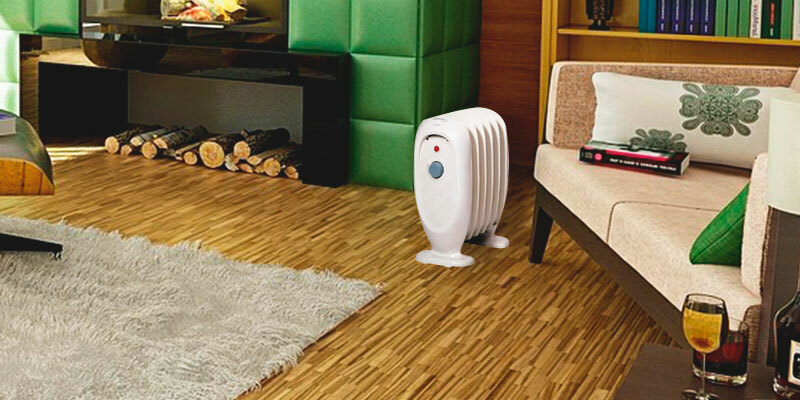 This combination makes it an ideal choice for keeping the temperature of medium and large rooms comfortably warm. This device is really easy to use and to maintain. Just plug the power cord and turn the dial, while the power indicator light will show you if the appliance is working the way it should. It takes quite a while for the unit to reach the maximum temperature. 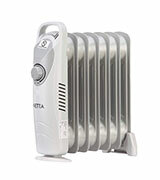 The NETTA oil-filled electric heater is an essential model that any house could benefit from. Coupled with great protection capabilities, you can put this thing in your bedroom and leave it running during nighttime. A tip-over switch will turn off the device in case of an accidental drop of the heater. On top of that, the heater has a built-in handle for easier transportation. During cold months, the appliance needs to be set to the maximum heat setting to effectively warm up the area. 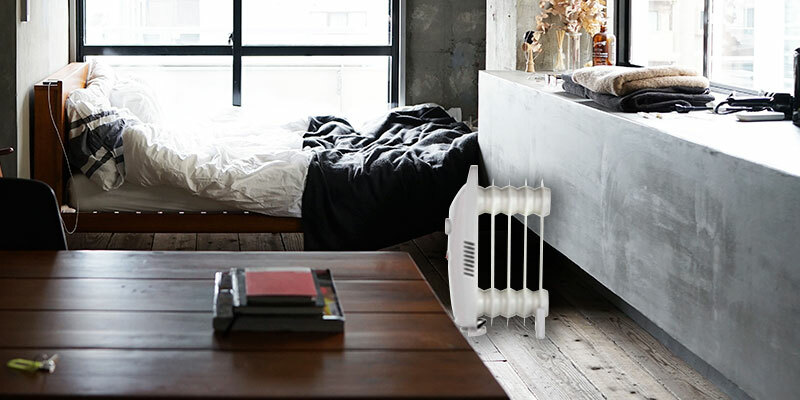 A mini-heater from VonHaus is designed for warming small to medium rooms. The model is equipped with a simple control system. It doesn't produce a whole lot of noise. A safe bet for bedrooms and living rooms. 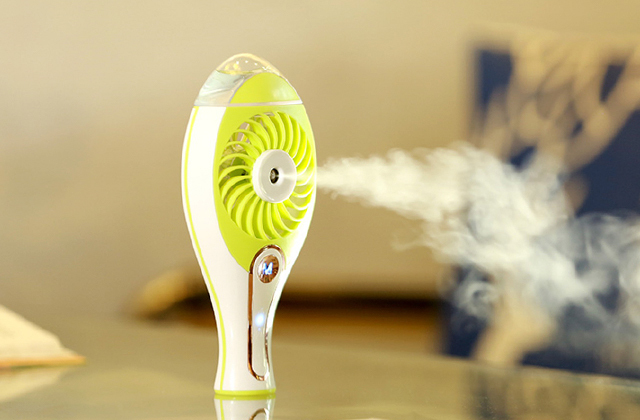 This heater is one of the most lightweight models available on the market. For the convenience of transportation, the device is also equipped with an integrated handle on top of the control panel. The thermostat is not the quietest out there. 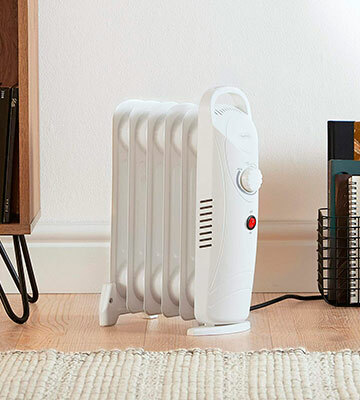 The Warmlite BB-OR112 is a perfect pick for you in case you need an affordable heater for office, apartment or even a small house. By being light, powerful, and safe to use it is also extremely powerful and can warm up any premise with its 650-Watt heat output. 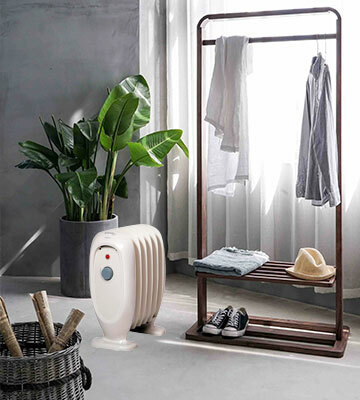 Although this mobile heater model from Dimplex is not really the heaviest oil-free radiator out there, it is still fitted with carrying handles for the convenience of transportation. 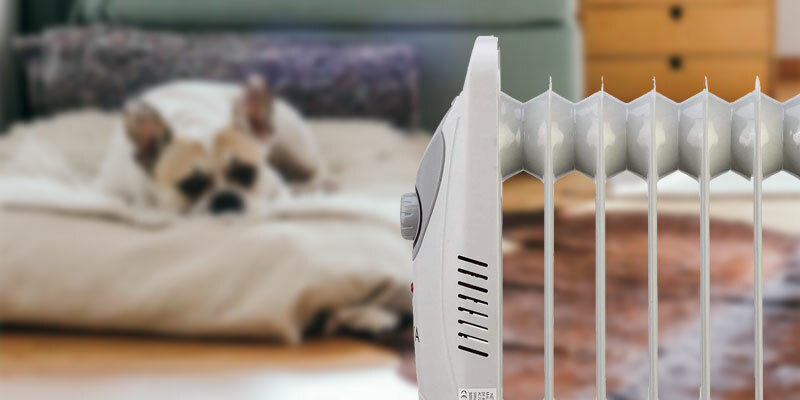 Surprisingly enough, even with just 700 watts of power output, this low energy oil-free heater is capable of delivering a lot of heat thanks to the special design of its fins and the heating element itself. Unlike oil radiators, the thermostat of the Dimplex electric heater doesn’t produce any loud noises when you change the heat setting. 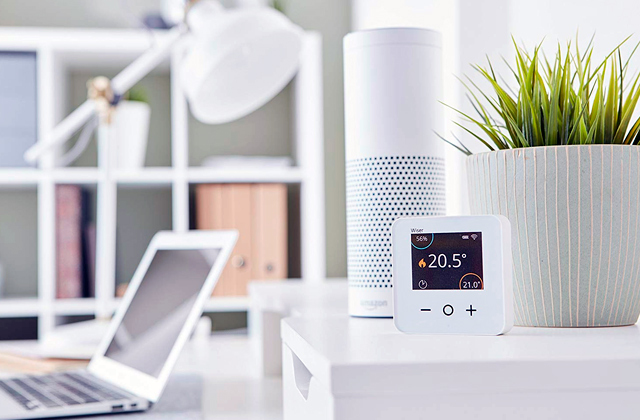 In addition to that, the Dimplex OFRB7N features a set of smart protection systems that adhere to the BEAB standards, making the unit particularly energy efficient. The heater can automatically turn off and turn on (if the thermostat is engaged) to keep the flat warm and cosy at all times. Moreover, in case of a sudden electric surge, the device will automatically shut itself off to prevent electric damage to the internal circuit board. Moving on, even if the heater falls or tips over its sturdy feet, it will also turn itself off, thanks to the tip-over protection system. 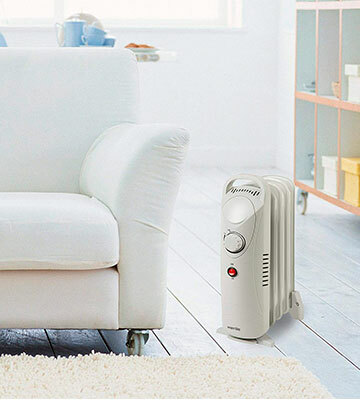 In the end, if you are looking for a truly cost-effective model, then the Dimplex OFRB7N is the best portable oil heater for you. 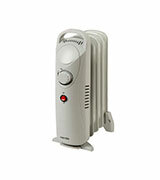 Want a space heater but worry that it’s not going to be enough to warm the whole bedroom or living room? You could get several at once but, instead, you can save money and use the Delonghi TRNS0505M. This mini oil filled radiator has special ventilation chimneys on the top and the bottom. 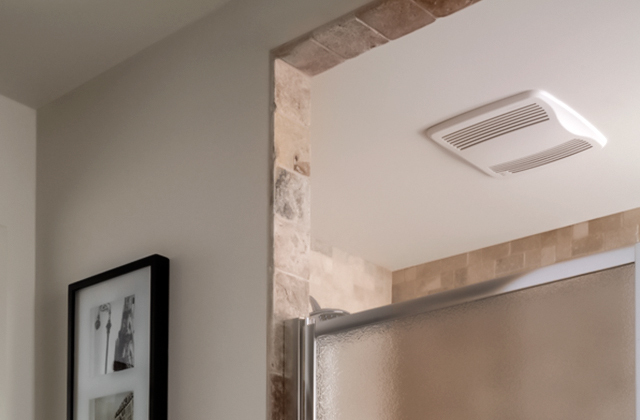 The lower ones expel cold air while the upper ones emit heat, letting it circulate through the room. That way you get maximum coverage without having to move the heater around the room. While we love how quickly the Delonghi TRNS0505M heats up and how long it stays warm, the processes of warming and cooling can be a bit annoying as they’re coupled with loud clicking sounds, probably from the metal changing temperature. However, you could adjust the digital thermostat to make sure that the temperature stays relatively even, keeping the noise to a minimum. 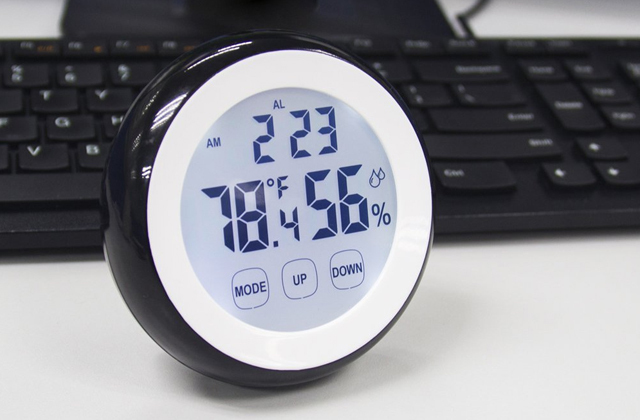 We also recommend using this thermostat with timer before you go to bed to save up energy. We’re glad to point out that the TRNS0505M is completely safe as the GFI plug automatically detects interruptions in the current and cuts power, preventing shortages. And if you’re a forgetful person, you can set the heater to shut off on a timer so you can drift off to sleep and the device will stop working a bit later. Couple all of the above with reasonable power consumption and convenient carrying handles and you’ve got a high-class portable oil heater that will keep you warm and safe from the biting winter cold. The NETTA NT is an oil-filled radiator that is extremely lightweight and energy saving at the same time. 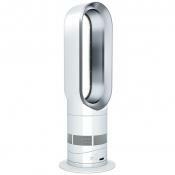 The 800-watt heat output of this grey-coloured fellow makes it a perfect pick for bedrooms and for large rooms as well. 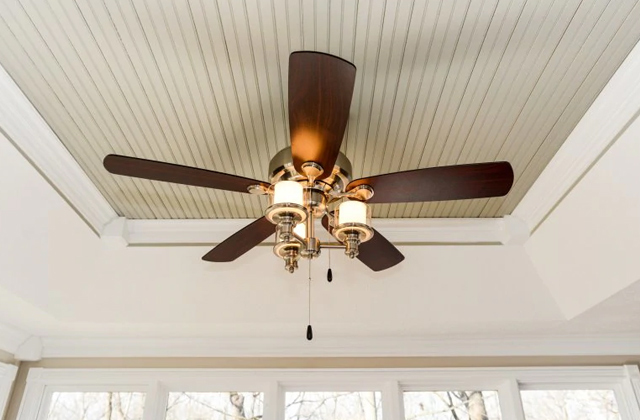 But, in case this 800-watt model is not enough to heat up the entirety of your house, the company also offers 2000 and 2500-watt heaters models. The only difference between this and other models is that the more powerful ones feature a bigger number of fins and an additional set of castor wheels. 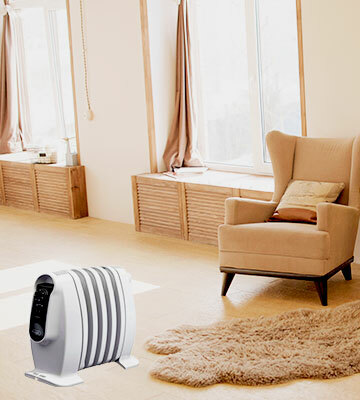 Setting other models aside, this portable oil-filled heater is capable of warming up small to medium rooms while also having little trouble with heating larger rooms. If you'd like to maintain a constant temperature inside your home, we recommend leaving the heater on when you need it and turning it off during the nighttime to make the most of its energy-efficient build. 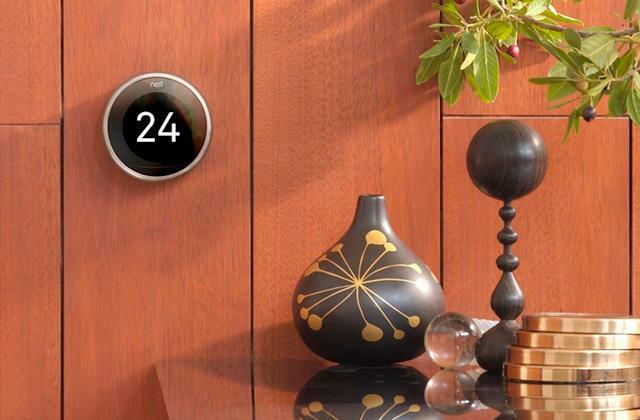 The adjustable thermostat acts as an additional means of climate control and will let you keep your home warm, while the 6 heat settings will ensure that you don’t get too hot or too cold. To wrap things up, if you need a safe heat source, the NETTA NT-800W mini oil heater is an ideal choice for you. 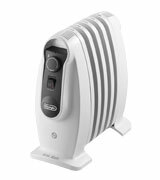 The 2500106 is an 800-watt heater from VonHaus that will make the colder months a little bit warmer. How will it do that? Quite easily, actually. With just 3 kilograms of weight, this mini oil heater is capable of delivering stunning amounts of heat output. On the front panel of the appliance, you will find a power switch and an adjustable thermostat, both of which will help you keep the room warm throughout the day. You can set the temperature and leave the heater on and the protection systems will take care of the rest. Speaking of protection, there's the heater's overheating inhibitor that will turn the device off the moment it reaches a dangerous temperature level. 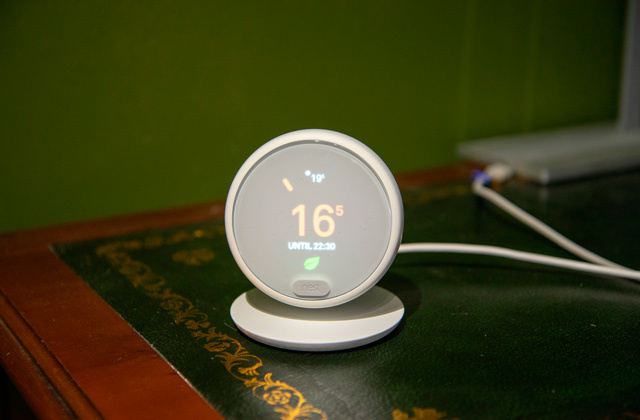 As for the design, this small climate keeper features a set of 5 fins and a special grill that keeps the circuit board well-ventilated while the heater is on. 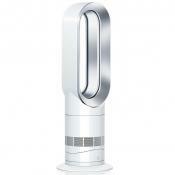 Additionally, this model has ultra-wide metal feet that ensure high stability of the device while it operates and keeps your house warmed up. Even if the heater falls to the side, the tip-over switch will turn the device off and cut the power until you turn it on again. In closing, this heater from VonHaus is, perhaps, the best portable oil heater in its class, thanks to its ultra-lightweight construction and heat output efficiency. 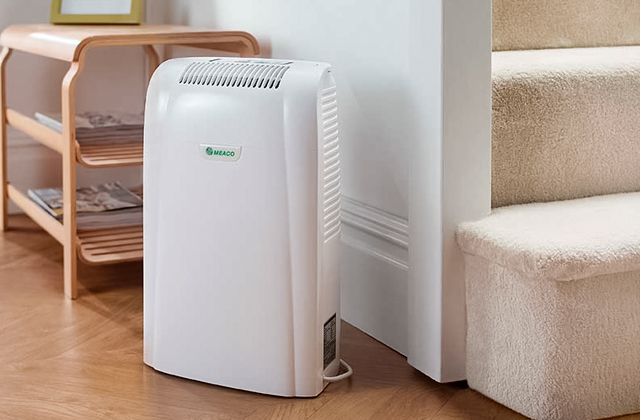 This portable Warmlite oil filled radiator is a good choice for small-to-average sized rooms. This one has no rolling wheels, though they are not needed, as it weighs less than 3 kg. Thus, you can simply lift it up with a built-in handle and carry to the desired room. There's only one power setting at 650 W and a thermostat knob for adjusting the temperature. Due to the small number of the fins, it warms up comparatively quick. However, the same cannot be said about cooling down after you turn it off, as the oil is good at conserving the temperature. Thus, if you put it under your desk, you can simply turn it off from time to time to save on electricity bills. The overheating protection and 2-year manufacturer guarantee are a welcomed bonus as well. The cord turned out to be a little short - about 1 meter long. Nevertheless, as it's only a 650 W device, you can safely use a socket lead to power it up. However, in case you want something more powerful, the 1500-watt as well as 2000- and 2500-watt models are optionally available. As a result, this is a solid choice if you are looking for a compact, portable oil heater for small offices and for large rooms. What Is a Portable Oil Heater? Although we all (or most of us) have central heating in our homes, there always seem to be some nasty remote cold spots around the house. Instead of bearing it, we recommend getting a small oil heater to warm up the room and keep you cosy no matter how cold it may be outside. 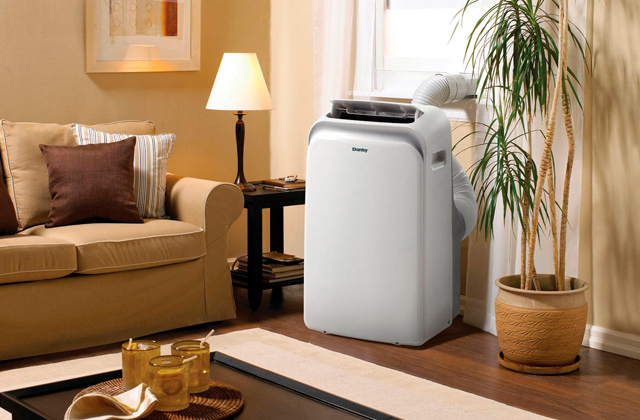 Even a snowstorm won’t disturb you when this electric appliance is running and you’re tucked under a blanket. These devices use oil travelling along the columns with a special element heating up the material. The fuel oil is a special formula that has a very high boiling point so it stays liquid, simply transferring the heat to the metal body of the device. 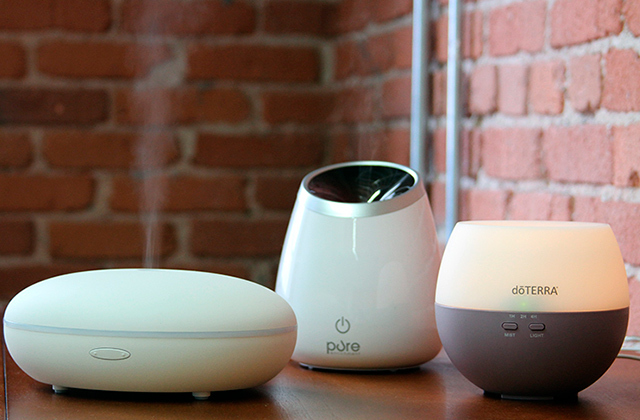 Don’t worry about any fire hazards as the devices are time-tested and completely safe to use. 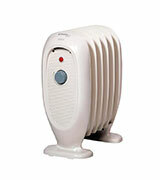 One big advantage of these models is that they use relatively little power compared to many other heater types. That way you stay warm without being stuck with an outrageous electricity bill, which is a nice bonus to the climate control. If you’re all set for the cold winter and want a solution for the sweltering summer, check out our review of air coolers. Also, consider getting a bathroom fan to keep the air circulating while you shower.